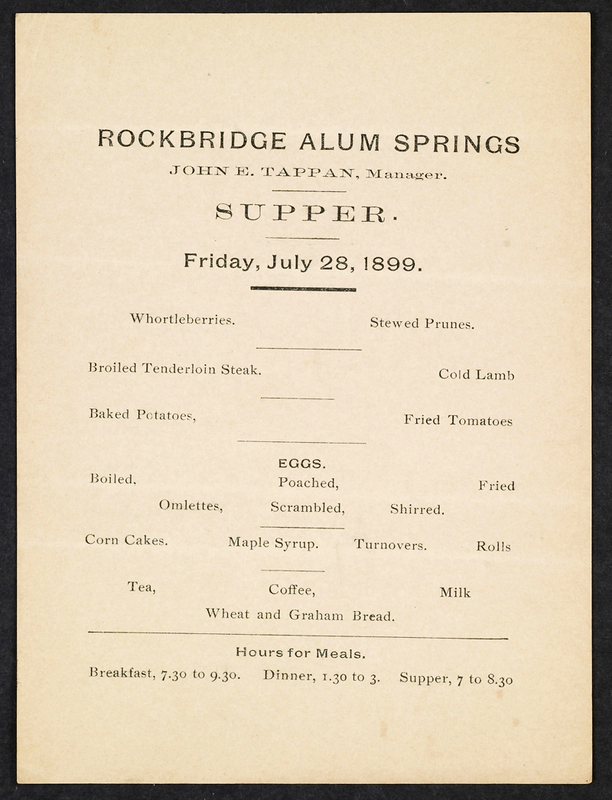 Rockbridge Alum Springs, John E. Tappan, Manager, Supper, Friday July 28, 1899, Rockbridge, Va., 1899. Special Collections, University of Virginia Library. William Burke wrote disparagingly of the scanty amounts of “plain” and “indifferently served” food in his 1846 book. He might have been pleased with this menu printed 50 years later.